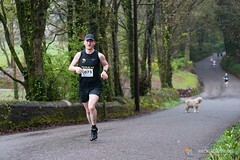 In other action last weekend, we had one member make the trip to Wicklow for the half-marathon. 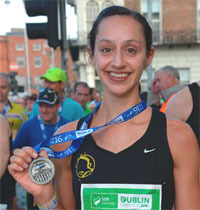 Well done to Adelle O’Connor who ran a great time of 1:38:53, 4th lady to finish. In the same week as she had helped our ladies F45 team win Gold at the county roads, Adelle took first place in the F40-49 category here. Well done to Lisa and Ronan who traveled to Valencia last weekend to take part in the World Half Marathon. 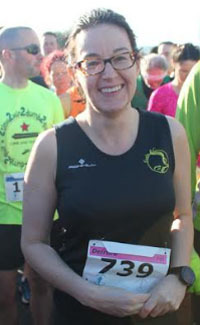 Congratulations to Lisa who ran a very well deserved PB on the course in a great time of 1.39.12, on a windy day. Race seven of the Munster Winter/Spring league was in Glanageenty, Kerry on the 25th of March 2018. Home of the legendary John Lenihan, A ‘long’ 9k. Frank was recommending this one and was regretting missing it as he was away. Well done to all running and to the prize winning ladies on the day. 61 Mary Cotter F50 1:05:58 Second in category. 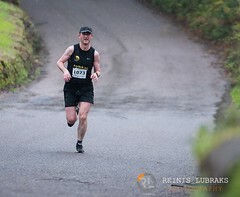 Missed last week was Michael O’Regan who also competed in Kenmare and finished in 3:53:35, well done Michael. There were some hardy souls out on the mountains last weekend, well done to all involved in what were such bitterly cold and windy conditions. Slí Gaeltacht Mhúscraí Ultra March 17. 64. Ita Kirwin F50 2:26:38 Ist in category. 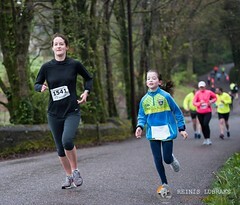 Claragh Mountain 7 k. March 18. 26. John Dunphy M40 49:44. 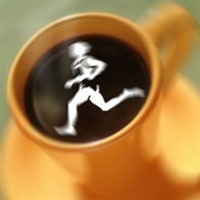 No clubs were listed for this 5k which took place on Sunday morning. Shown below are the club members spotted in the results. Let me know if I’ve missed anyone and I’ll include them in next week’s email. A special mention to Ken Higgs who walked the 5k course just a day after his very impressive medal haul in Athlone. See the ‘Track and Field’ section below for more details! 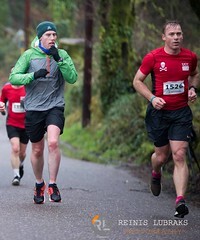 Busy day for Mick Dooley on Saturday who travelled to Kerry to take part in the Quest Adventure Race in Kenmare. Mick completed the 50k course in an impressive time of 2.55.08. Well done Mick. Five club members were seen in the results of the Crosshaven 10k which took place on Sunday morning. 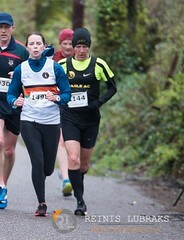 Paul Cotter made the trip to Tipperary on Sunday to take part in the inaugural Kilsheelan 10 Mile Road Race. Paul finished well up the field finishing in 14th place overall and 1st M40. National Masters indoors Track and Field Championships Athlone, Saturday March 10th 2018. Heartfelt Congratulations to Hugh McSweeney and Ken Higgs who represented the club at the National Masters Indoor Championships on Saturday March 10th 2018, with some very impressive performances. Hugh and Ken won an amazing 5 medals between them at the championships. Hugh won a silver medal in the M70 long jump, with a bronze medal in the 60m dash, and a silver medal with a strong run in the M70 200m. Ken’s first race was the M65 800m win the silver medal The M65 400m race finish strongly to get the silver medal on the dip, he narrowly missed out on a medal with a 4th place finish 65 1500m race. 3 Eagle AC runners took part in the Ballinaboola 10k, near Ballyhea. 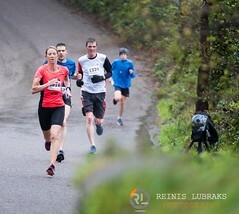 This 10k held by the IMRA involved a climb of 300 meters! Well done guys. 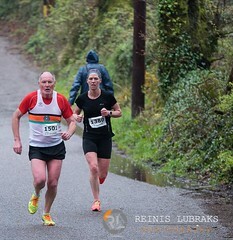 Congrats to Denis, the only listed Eagle AC member in the results from this 7k race held last Sunday in Glanmire. 336 runners took part in this race in total. 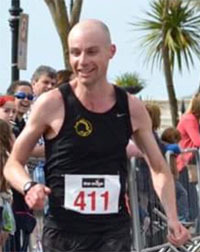 Very well done to Damian Kenneally on a great run in Brighton. Congratulations on a super race. 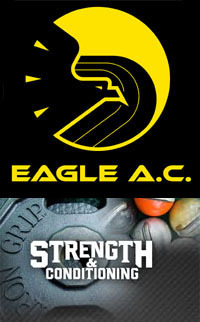 223 John SWANTON 00:49:15 00:49:47 843 M (180) MS (76) Eagle A.C.
16 members took part in the Eagle club race on Sunday. Well done to Mark who was 5th man home. Wieslaw Sosnowski picked up a prize for being 1st M45, as did Pat O’Connor for 2nd M50, Tony Cambridge for 3rd M50 and Richard Piotrowski for 1st M65. The Eagle Mens Team of Ruairi O’Callaghan, Tom Fox, Dermot Slyne and David O’ Callaghan came 2nd in the team prize category. 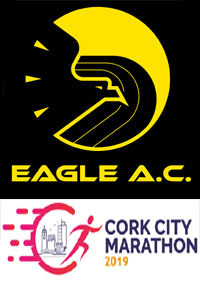 Also, a mention to Marie-Therese Brady who ran her first race as an Eagle AC member! Congrats to John who was 2nd home in Saturday’s parkrun in Castlehaven. Thank you very much to Ken Higgs for the report back on the National Masters cross country below. Congratulations to the 4 Eagle AC members with fantastic performances all round. The National Masters XC championship held last Sunday in Clarinbridge in typical winter XC conditions – bitterly cold and a quagmire of a course. Well done to all members who took part in the latest BHAA race in what were cold and snowy conditions! Members who were spotted in the category prizes are listed below. Great to see so many Eagles in the prizes. 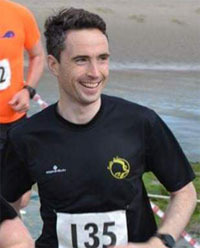 Congrats to Ciaran Bouse who won the Kilmacsimon 6k on Sunday. Well done to Dermot who took 3rd place in the Kilmacsimon 10k near Innishannon last Sunday, and to Pat, close behind in 5th. Well done to the two Eagle ladies running for the third race in a row, in the Munster winter/spring league. The conditions were very testing testing on the day. Congratulations to Ita and Mary both winning category prizes on the day. Today we have reached over 20,000 photos on our Flickr Eagle AC web page , Great to see so many Eagle AC runners out there. 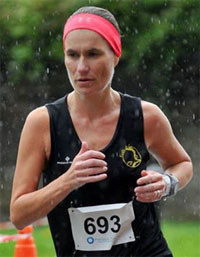 Great to see Deirdre O’Callaghan back in the race results again last Saturday! 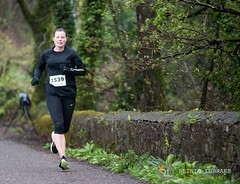 The big race this week was the Dungarvan 10 mile on Sunday. Always popular with Eagle members, this year we had 47 finishers. Full results are listed below and congratulations to Viv, first Eagle home in a fantastic 56:26 and to Maura, first Eagle lady to finish. Special mentions also to Pat O’Connor, who celebrated joining the M50 category with a brilliant sub 60 min PB and to Richard Piotrowski who won the M70 section. Well done to everyone who took part and congrats if it was a PB outing. Good to see members Colin Foley Finbarr Lehane getting back into race action as well. Cratloe Woods, Clare. Jan 28th. 9K Trail race. Second race in Munster Winter/Spring league. This is a series of 10 trail races from January to April 2018 throughout the province you only need to complete 4 to qualify for a league finisher’s prize. 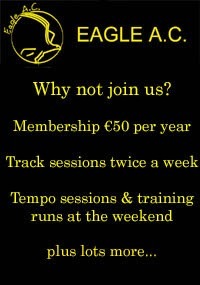 It is essential to have annual IMRA membership available online for €10, prior to the event. 73. Mary Cotter F50: 50:30. The 34th AXA Raheny 5 Mile road race Sunday 28th Jan.
Well done to Ken and John who both ran the Raheny 5 mile on Sunday last in Dublin. There was a huge field of 3500 runners and congratulations to Ken Higgs in continuing his winning form and picking up the 2nd place prize in his category. Thanks also to Ken for letting sending on the info. 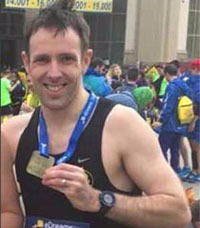 Congrats to Darren on his 3rd place finish and new parkrun PB in Ballincollig on Saturday! 3. Darren Casey 19.43 VM 40-44 M 3 New PB!